ADATA Technology, a leading manufacturer of high performance DRAM modules and NAND Flash products, today launched the industrial-grade IM2S3338 M.2 2280 and IM2S3334 M.2 2242 SATA 6Gbps solid state drives. Both utilize the compact M.2 form factor for an easy fit in various installations and transfer data at up to 560MB/s read and 525MB/s write. They use durable and long-lasting 3D NAND, MLC/TLC for the IM2S3334 and TLC on the IM2S3338. The two drives are carefully tested for survivability in extreme temperatures and humidity as well as resistance to shocks and vibration. ADATA integrates LDPC error correction to promote data integrity plus DRAM and SLC caching to help sustain peak performance on both model ranges. ADATA continues to place an emphasis on serving industrial and commercial applications such as manufacturing, surveillance, retail, transportation, and medical care. The IM2S3338 and IM2S3334 provide additional options, this time in the M.2 form factor. The IM2S3338 uses 3D TLC in capacities from 128GB to 1TB. It delivers 560MB/s read and 520MB/s write. The IM2S3334 carries highly durable 3D MLC NAND in 120GB to 512GB, and 3D TLC in 128GB to 512GB, and runs at up to 560MB/s read and 525MB/s write. Users therefore get a comprehensive range of models to choose from based on required capacity and planned budget. Like all ADATA industrial-grade SSDs, the new models are tested for wide temperature ranges. The IM2S3334 3D MLC is rated for an extreme -40 to 90 degrees Celsius, while the IM2S3338 can operate in 0 to 70 degrees. Both are certified for 5 to 95 percent relative humidity, 20G vibration resistance, and 1500G/0.5ms shock endurance. 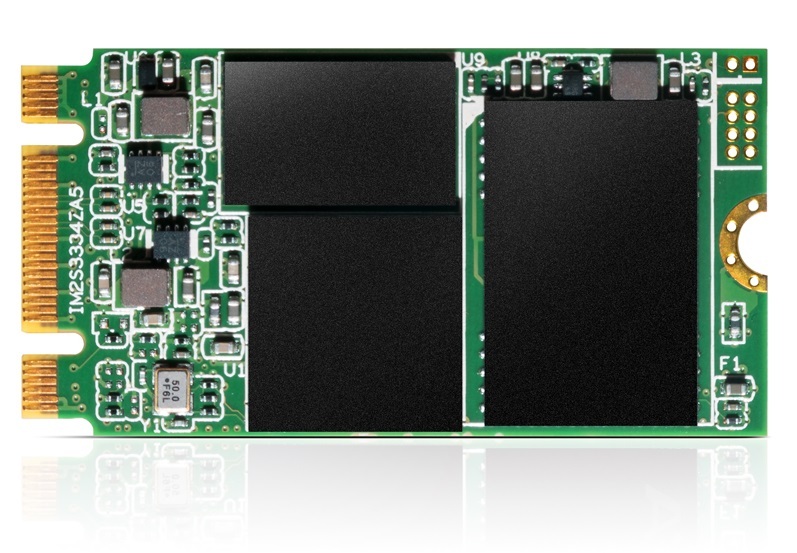 To boost SSD longevity and data integrity further, all models support S.M.A.R.T diagnostics, wear leveling, EMI protection, and low density parity check error correction. They also provide power fail protection and recovery through onboard capacitor reserves, secure erase for extra confidentiality, and TRIM command for smarter capacity utilization.